Why it matters: Being able to run an unrestricted version of Photoshop and other Adobe apps on the iPad would serve as a major endorsement for the device and make it more attractive to creative professionals that might otherwise turn to Microsoft's Surface for productivity on the go. 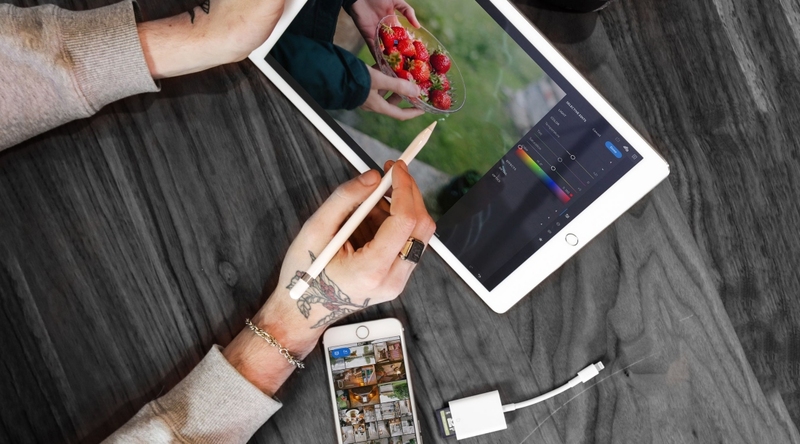 Adobe Systems is planning to unveil a full version of its Photoshop app for Apple’s iPad at its annual Max creativity conference in October according to sources familiar with the matter as reported by Bloomberg. Adobe aims to launch the app sometime in 2019 although engineering delays could alter the timeline, sources said. Photoshop has been available on the iPad for years but it only offers core functionality. Scott Belsky, chief product officer of Adobe’s Creative Cloud division, confirmed to Bloomberg that they are working on a new cross-platform iteration of Photoshop and other applications but didn’t share launch plans. In an interview with the publication, Belsky said his aspiration is to get the apps on the market as soon as possible but conceded that there’s a lot required to take a product as sophisticated and powerful as Photoshop and make it work on a modern device like the iPad. The need for a full-fledged mobile version of Photoshop is certainly there, and not just for hobbyists. Belsky said customers in media and entertainment are increasingly working on tablets rather than computers and have asked the company for the ability to “make edits on the fly” while working on such devices. A new version of Adobe Illustrator is also said to be in the works but is a longer way off from being released. Adobe’s Max creativity conference kicks off on October 15 and runs through October 17 in Los Angeles. A “preconference” will be held October 13-14. Full conferences passes start at $1,295 and registration is now open.